Burned on 100 percent of his body as a young boy, John O’Leary was given a 1 percent chance of survival. Thirty years later, he is a bestselling author, nationally known speaker, beloved husband, and dedicated father. Once controlled by addiction, Todd Crandell is now an addiction counselor—and a world-class Ironman triathlete. Born with no arms or legs, Nick Vujicic fought back from the brink of suicide to become a faith-driven motivational speaker admired by people around the world. These are just three of the inspiring lives featured in (Extra)Ordinary: More Inspirational Stories of Everyday People—tales of individuals who started out as “ordinary” but have proven to be anything but. Each of the people featured in (Extra)Ordinary reminds us of the depth of human potential and calls us to find our own strength to make our mark on the world around us. (Extra)Ordinary opens our eyes to the power that rests in each and every person! When everything in life goes wrong, what keeps people going? This wonderful collection of answers tells how some conquered the near impossible. (Extra)Ordinary is one of those books that opens our eyes to those around us. From friends, co-workers or someone you meet shopping. We all have our own struggles and how we cope. These things can be overwhelming and can feel like everything has gone to hell. But living with them and finding that reason to keep going can be the inspiration that others need. It’s possible to continue moving on, no matter what happens in life and what twists and turns your life takes. 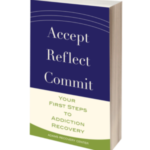 I think that’s the lesson to be pulled from this book, that no matter how hopeless life may seem at the present moment, if you just continue to look forward and press through, you, too, can turn a new leaf and begin again. … (The book) got me to remember that I can face the mountain of issues I have and climb over if I take just one step at a time. Keith Maginn believes that writing to help and inspire others is his life’s purpose. 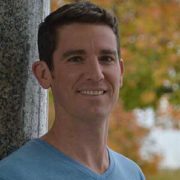 A native of Cincinnati, Ohio, Keith earned a bachelor’s degree in sociology from Miami University before going to work for AmeriCorps and Habitat for Humanity. His previous books are (Extra)Ordinary: Inspirational Stories of Everyday People; Turning This Thing Around, a self-help memoir, and Goodwill Tour: Paying It Forward, which details a 3,000-mile philanthropic road trip through the southeastern United States. 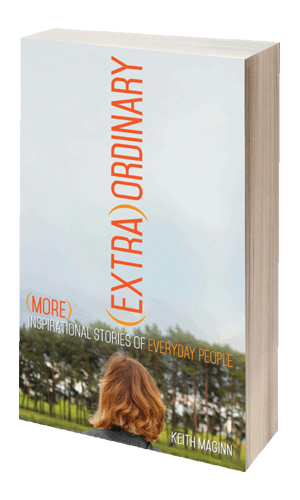 (Extra)Ordinary: More Inspirational Stories of Everyday People is distributed by Baker & Taylor Publisher Services.